Bike is the most popular way to experience Amsterdam, but we recommend parking your wheels for a bit to explore the city’s treasures on foot. Our local writer shares two suggested routes. For me, exploring a city is all about walking its streets and watching life unravel all around. 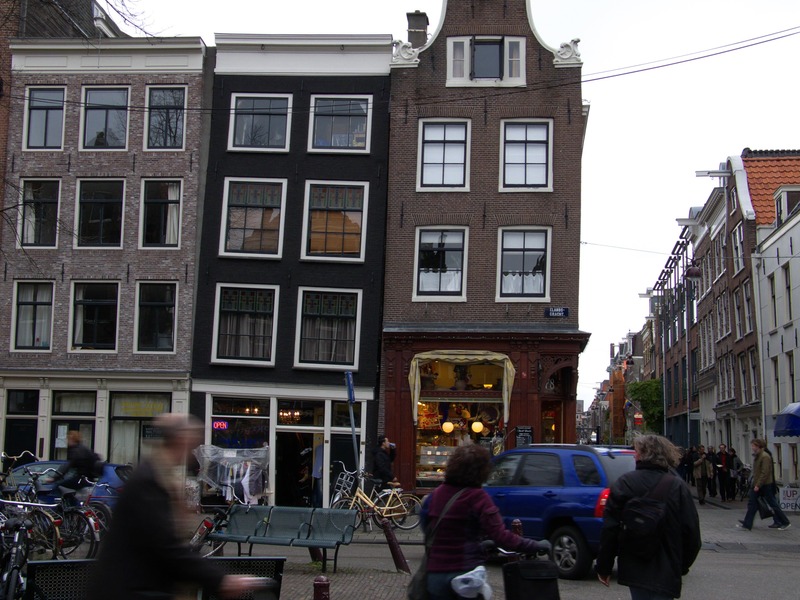 This is very easy to do in Amsterdam as this walkable city contains all sorts of treasures. From floating houses to hidden gardens, let me tell you about two of my favorite walks in the town. So pick your path and get going! The first thing you’ll notice when leaving Central Station are the bike-filled streets, sidewalks, and yes, even the water (on floating parking lots). 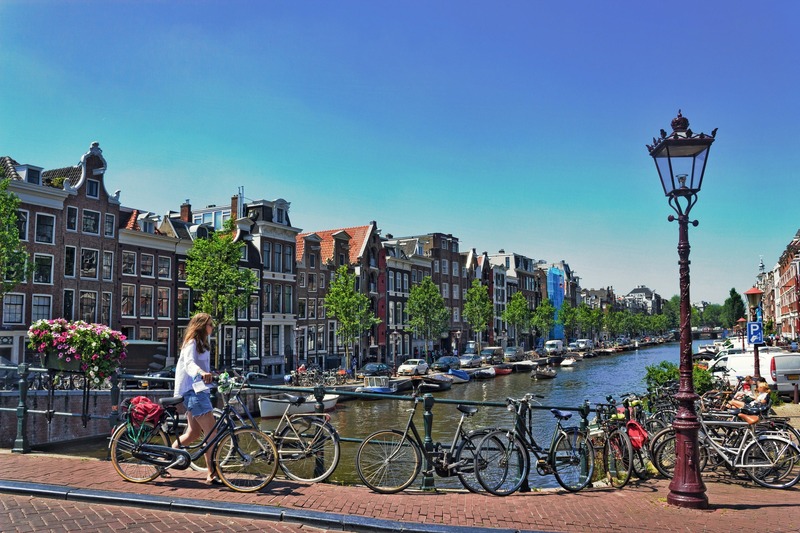 Bicycle is of course the preferred way to get around the city, but nothing can replace a walking tour to truly experience Amsterdam at its finest. From Central Station, head to the North end of Singel canal. Walk along the canal’s left side until you see a small road with the Biercafè Gollem – stop here to choose a brew from one of the best beer lists in town! From this road, turn right into Spuistraat, where you’ll see lots of colorful street art and the most popular squats. Keep going south until you arrive in Spui, where you’ll find a market full of books and art. Here, if you look well, you’ll also find a gate that leads to the Begijnhof, a well-hidden Medieval courtyard. During spring the garden is in full bloom, but it’s a stunner any time of the year. 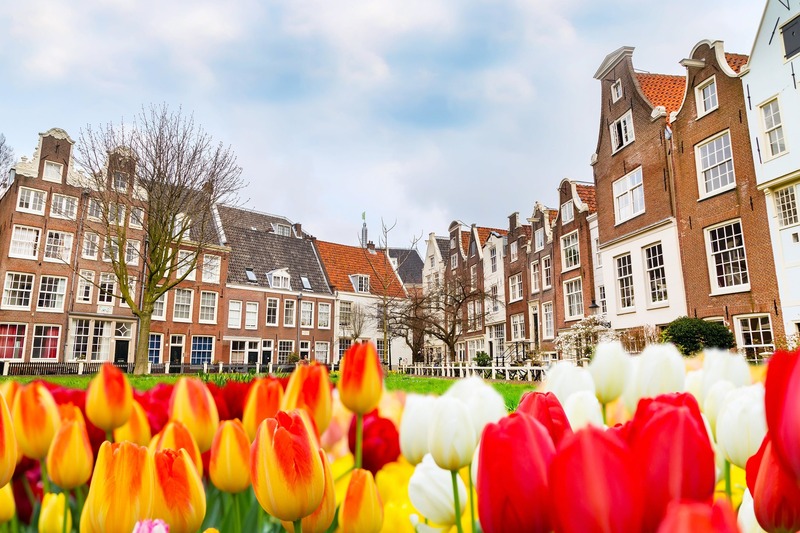 After you’re done at Begijnhof, continue south to Bloemenmarkt (flower market), where you’ll find – you guessed it – flowers, as well as tulip bulbs. If you want to do some shopping, this area is perfect: Just go up Kalverstraat and get lost in the shops there. If you’re not into shopping, you should continue exploring the center by going up Oudezijds Voorburgwal, the main road of Amsterdam’s red-light district. You’ll notice De Oude Kerk, Amsterdam’s oldest church, and if you pay enough attention, you’ll see lots of crooked houses around you. Don’t worry…they won’t topple over! For me, the east Amsterdam holds a special place in my heart since it’s the area where I first lived. I would suggest that you start this walk from Oosterpark, a cute park with a small lake and lots of birds. Enjoy a bit of nature there, and then go to Dappermarkt, one of the city’s busiest street markets where you’ll find everything from electronics to cheese. 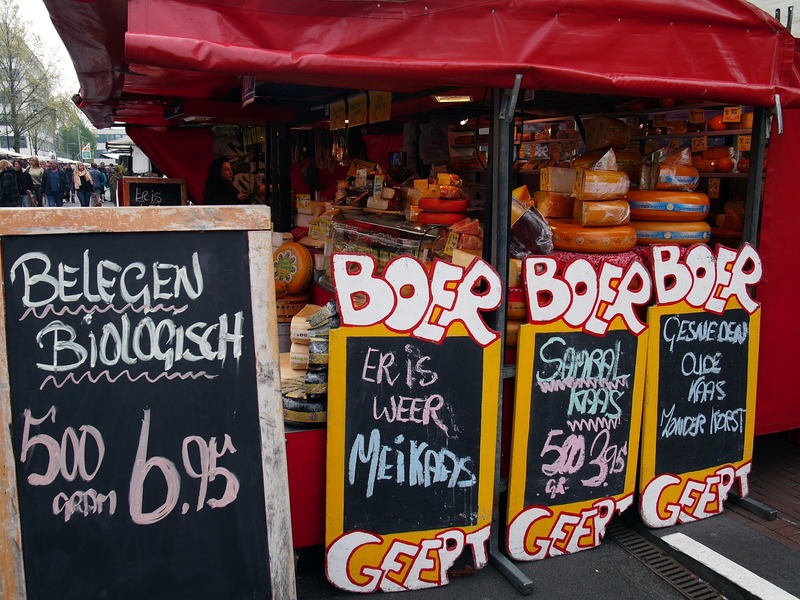 If you want to try some of the delicious local cheeses, don’t be afraid to ask – the vendors might not speak great English, but they’re always super friendly and happy to help. The market is open from Monday to Saturday, 9.00am to 5.00pm. Walk towards the North end of the market until you reach the canal, and you’ll see a mill on your right – it is the home of the Brouwerij ‘t IJ, my favorite brewery! 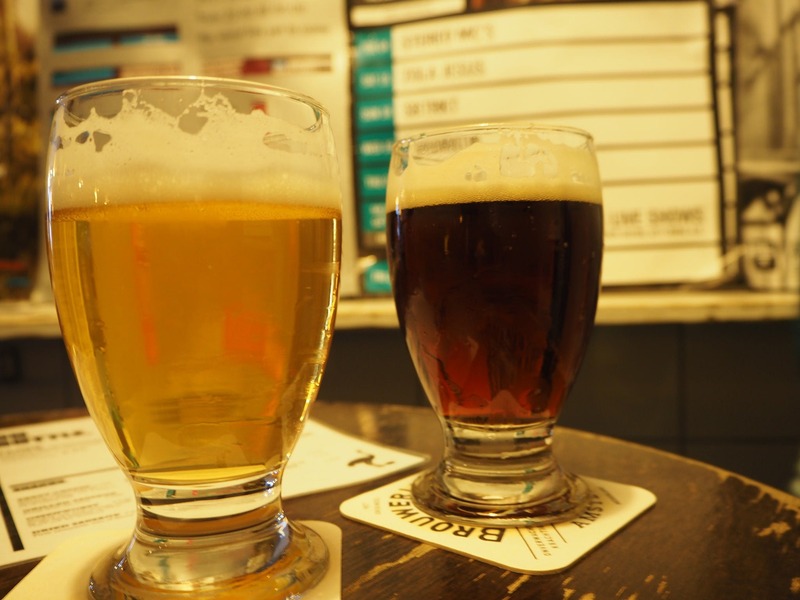 Try some of their organic beers, famous all over the Netherlands. They are open daily from 2.00 to 8.00 pm, so it’s best to arrive early to give yourself enough time to sample all their brews. If you get there before 6.00 pm, you can order a tray with up to five different types of beer…all served in small glasses so you’ll have no problem continuing your walk! When you’re done, head south briefly until you reach Sarphatistraat. Here, turn right when you see a green area with a small bridge. Cross the bridge, and follow the canal that separates a charming neighborhood from the Artis Zoo on the other side of the canal, where you can see giraffes and other animals. For the most spectacular effect, time your stroll to arrive there around sunset. Keep walking until there is a small bridge on your left: cross it, and go straight until you see Burgermeester on your right, where you can stop to refuel. Keep going straight until you get to yet another bridge, but don’t cross it – turn right instead. Walk along this street, and you’ll find a cozy little garden on your left that faces a canal. Relax a bit on the grass below the weeping willow, and you’ll be able to see some typical houseboats. 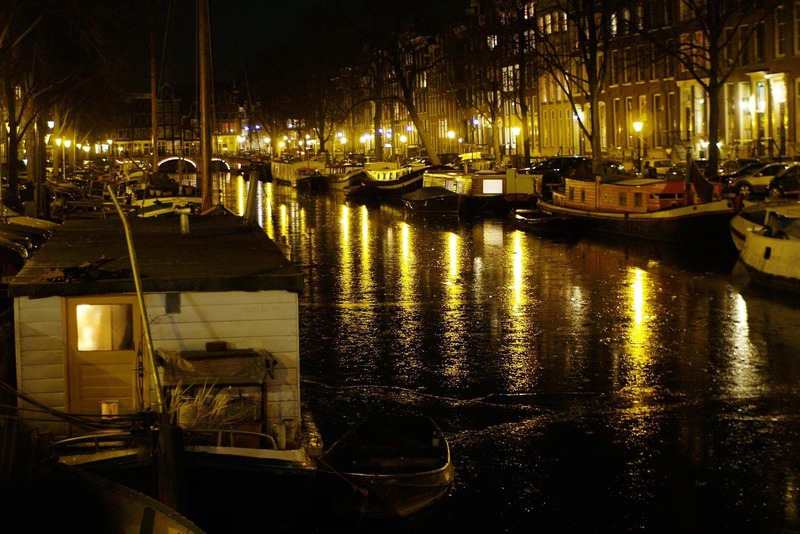 It should be dark by now, and the reflection of the lights on the canal will mesmerize you! There are not only hundreds of more things to see in both Amsterdam Centrum and Oost, but also in the rest of the city that I can’t fit everything in two walks, but I encourage you take your time and thoroughly explore both the city and its surrounding nature. If you enjoy walking, Amsterdam is for you!